Last week, on Tuesday to be exact, I went to Chatham to host a Love Letter-Writing Workshop. 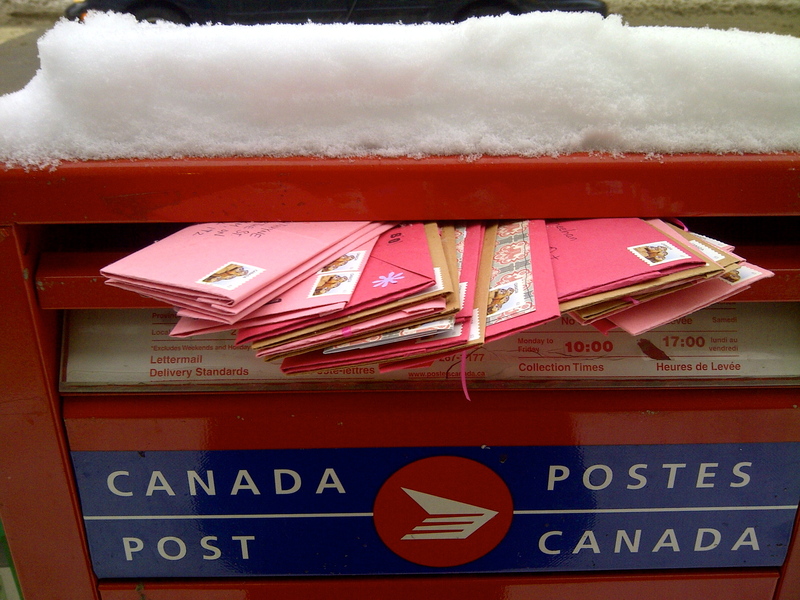 Cut-out hearts were folded into envelopes. Hole punchers, glue sticks, craft paper, and card stock were there to play with and create. Sealing wax was provided to put the final touch on every letter made to be mailed away. The participants came with hearts open wide, and words to match. The writers who came out to this event put their hearts on the page, and tested their courage when it came to expressing this thing called Love. There were mothers and friends…and a lone stranger who walked in from the cold – he had heard of the workshop only an hour before, and thinking ‘my girlfriend would love that!’ came to try his hand at writing her (his openness and simplicity added such a beauty to the night – I hope they both love what was created there). 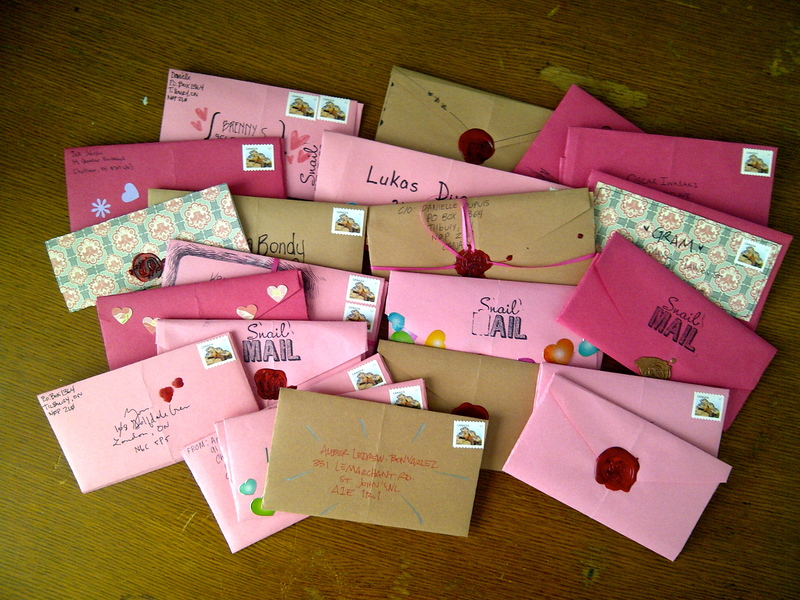 The Love Letters were mailed the next day (after taking copious amounts of pictures), which means they should be arriving any day now…hearts will be sent a flutter, and romances made to blossom, I’m sure. This thing called love, this avenue paved with letters that takes us to it, it is beautiful, and it is worth every word written on the page. 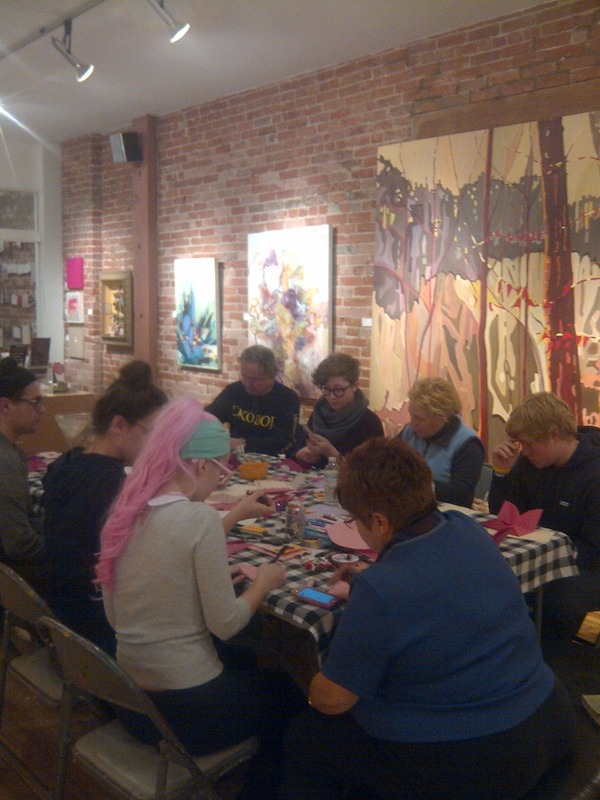 I hope to run many many more workshops like this one. Seeing people pick up a pen, seeing how they sit and ponder the words to write, being exposed to their creativity and heart, makes my heart beat faster, makes my mission clearer still, and supplies me with inspiration to last until the next time….